Bird & Bird LLP is delighted to invite up to 30 Aspiring Solicitors members for an afternoon event at its London offices. 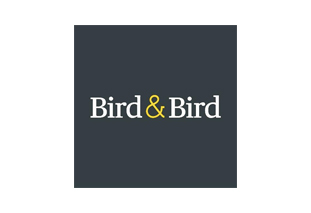 Bird & Bird is an international law firm, with a rare and invaluable grasp of strategic commercial issues. We combine exceptional legal expertise with deep industry knowledge and refreshingly creative thinking, to help clients achieve their commercial goals. We have over 1200 lawyers in 28 offices across Europe, the Middle East and Asia, as well as close ties with firms in other parts of the world. Our professionals don’t just understand the law in these sectors; they enjoy learning about the wider context of their clients’ businesses so that they can apply their skills to the commercial challenges of some of the world’s most exciting companies. We understand the trends that are shaping the markets, and the technological and regulatory issues that are transforming industries. We are looking for candidates from a diverse range of backgrounds and skill-sets, who are creative, have the ability to work under pressure, are commercially aware and motivated problem solvers who can work as part of a team. We hire at least 50% non-law students each year on our Training Contract and welcome applications from candidates from a diverse range of degree disciplines and work experience. This event will provide students with the opportunity to meet successful individuals who have had a similar journey, highlighting the key skills required to ensure they persevere, alongside individuals’ top tips for success. Attendees will have the opportunity to meet representatives from all levels at the firm and understand what a career at Bird & Bird could look like for them. be on track to secure, or have secured, at least a 2:1 degree qualification (excluding mitigating circumstances).